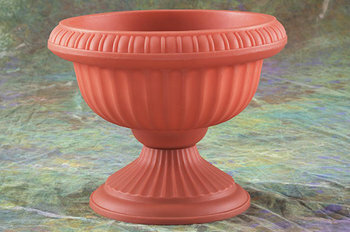 Poly Planters are available in terra cotta and designer colors at no additional cost. Designer color orders must be prepaid and are non returnable. All designer color orders must include appropriate saucers. A minimum 4 week delivery time is required on all designer colored orders. Colors shown in this catalog are for reference only, and all orders for designer colors should be made referencing color chips available from JAZ Products. 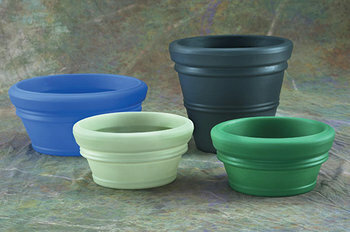 We are excited announce the launch of our newly redesigned JAZ Poly Planters Website! We are happy to have it launched in the early part of 2016! This improved site was upgraded to be responsive for mobile devices and has been updated with the latest information about our products! 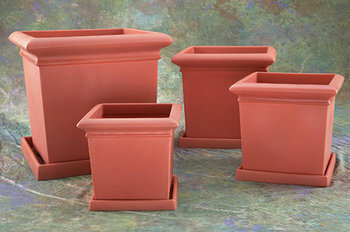 Some new features include a robust online showroom including our entire catalog of poly planters, a frequently updated blog, and an easy access look into upcoming events. Take a look around and have fun! We wish all of you a prosperous year, from all of us at JAZ Products!